The Lakes is a 2 square mile planned community on the west side of the Las Vegas valley, close to the Red Rock Canyon Recreational Area and the Spring Mountains. The Lakes really do have a lake, the private Lake Sahara, which was constructed between the mid 80's and mid 90's. The lake offers 3 miles of shoreline, and covers nearly 30 acres. Stocked with Largemouth Bass, Bluegill and Channel Catfish, the lake offers great recreational opportunities such as fishing and boating. But Lake Sahara isn't all that living in The Lakes has to offer! The Lakes consists of 300 homes in seven communities (single family, condos, town homes and luxury homes) from 1,500 to 12,000 SF, and a shopping plaza, all located in the master-planned West Sahara community. As REALTORS® specializing in The Lakes, you can count on us to help you buy the perfect home, or sell your property quickly and for top dollar! The Foster Beckman Group can help you find a home for sale in The Lakes. 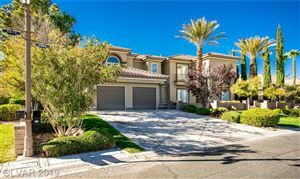 Our team of Las Vegas Real Estate Agents and home specialists at Foster Beckman Group are available to help you buy, sell or invest in The Lakes property. Call us today at 702-686-2695 to see how we can help you with all of your real estate needs!